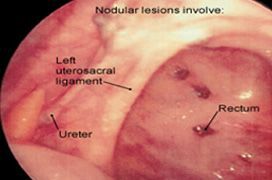 Endometriosis has been defined as the presence of endometrial glands and stroma outside the uterine cavity. 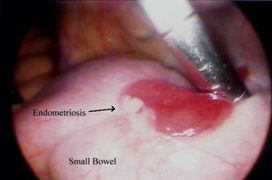 Early endometriosis is usually asymptomatic except for the presence of infertility. Moderate to severe endometriosis may be present with one or many symptoms like acquired dysmenorrhoea, dyspareunia and chronic pelvic pain. 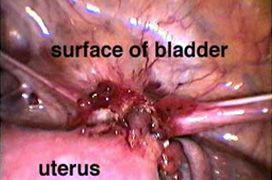 Severe endometriosis may be associated with metrorrhagia, rectal bleeding and hematuria (passage of blood in urine). 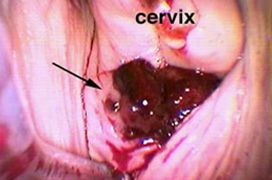 An association of endometriosis with premenstrual spotting has been reported. 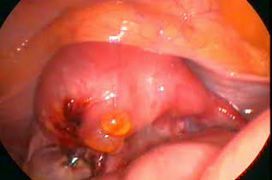 The disease contributes to infertility by formation of endometriotic cysts (chocolate cysts) in the ovaries, distortion and kinking of tubes due to pelvic adhesions caused by active lesions and often contributes to an entity called plastered pelvis. Moderate to severe disease is often encountered in our patients with infertility. 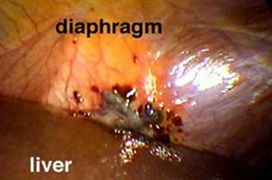 Depending on the grading of the disease the treatment may range from medical therapy to a combination of medical and surgical. We use disease modifying drugs such as danazol and GnRh analogues prior to the treatment cycle in ART. 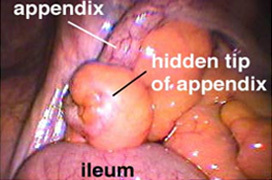 Our surgical treatment in majority of the cases is through laparoscopy unless a laparotomy (open surgery) is indicated. 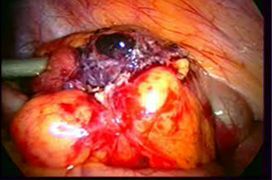 We have an incidence of 29.5% of endometriosis, among infertile patients at our hospital.